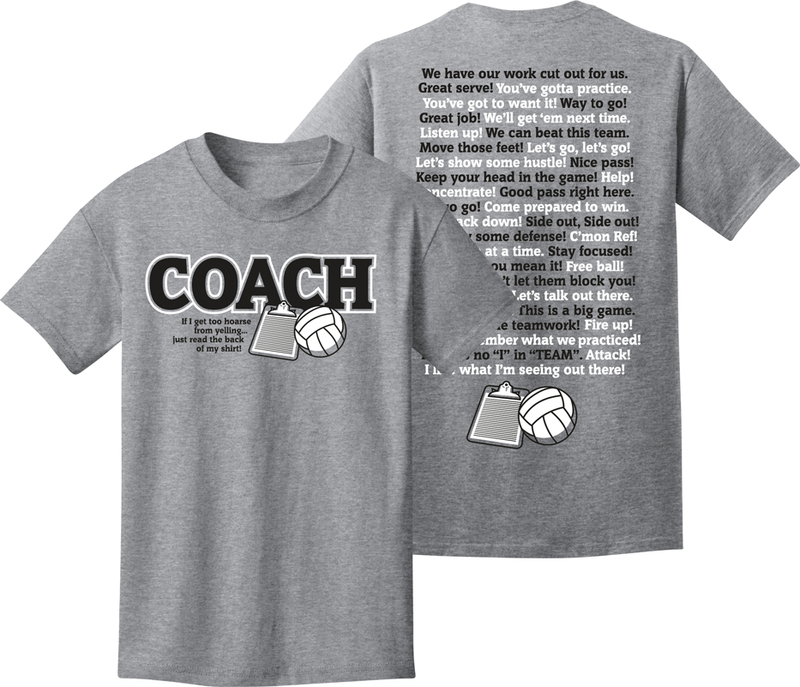 VOLLEYBALL COACHISMS & SAYINGS Athletic Gray Volleyball Coach Tee Shirt from Utopia Sport features both a front and a back design with Lots of Expressions you repeatedly say as a Volleyball Coach... So save your breath, and wear this shirt, and then just tell all your volleyball players to read what it says! 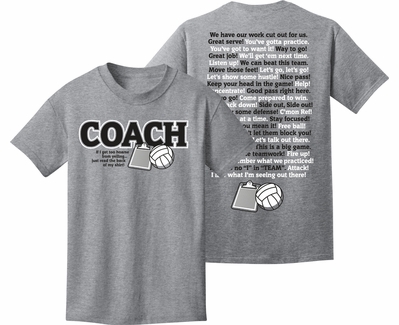 A Fun Volleyball Coach Shirt which is sure to get a laugh from everyone who reads it. Front Image Size = 8" wide x 3.75" high. . . Back Image Size = 8" wide x 13" high. 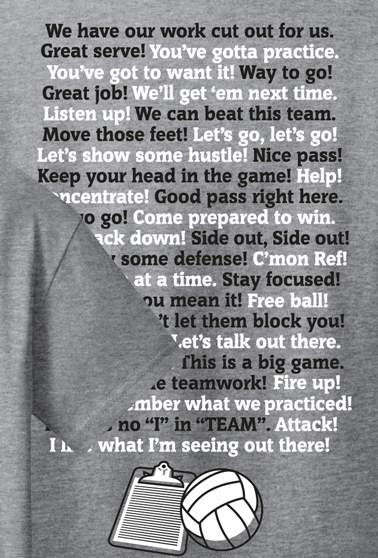 Volleyball Coachisms Short Sleeve Shirt is a 90% Pre-shrunk Cotton / 10% Polyester blend. * This T-Shirt design is available in the color Athletic Grey only.